Pest Control Services UK: Rats and the Plague – not guilty after all? Rats and the Plague – not guilty after all? For centuries rats have been blamed for spreading the bubonic plague, helping to consign millions of people to an agonising death. But are they really responsible? Once feared as the Black Death, one of the most devastating pandemics in human history, the rodent-borne disease wiped out a third of the world’s population in the Middle Ages. Bacteria causes the bubonic plague; the disease is spread by Xenopsylla cheopis fleas, whose main host is the black rat. The rodents were thought to have then spread the plague from China to Europe, eventually reaching Britain in 1348. 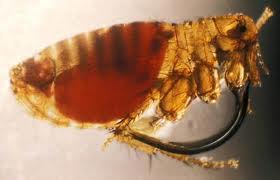 However new research by a British archaeologist challenges the view that rats and fleas transmitted the disease after all. Barney Sloane, a former field archaeologist at the Museum of London, studied the documentation and archaeological evidence for 10 years, and smelled a rat (or failed to) when it came to holding the most vilified pests responsible for the pandemic. He also pointed out that rats were also susceptible to the plague, yet there were no large deposits of rat bones from the 14th century. "All evidence spread too fast for traditional explanation, my research suggests the palgue arrived in England in autums and had reached the capital by November. “It's spread accelerated over the winter. If it had been bubonic plague – which is spread by rats – we would expect the spread to slow down over winter because rats are susceptible to the cold. Evidence suggests it had to be transmitted by person to person due to the speed by which it spread,” he said. Black rat skeletons have been found at 14th century sites, but not in high enough numbers to make them the plague carriers, he said. In sites beside the Thames, where most of the city’s rubbish was dumped and rats should have swarmed, and where the sodden ground preserves organic remains excellently, few black rats have been found.